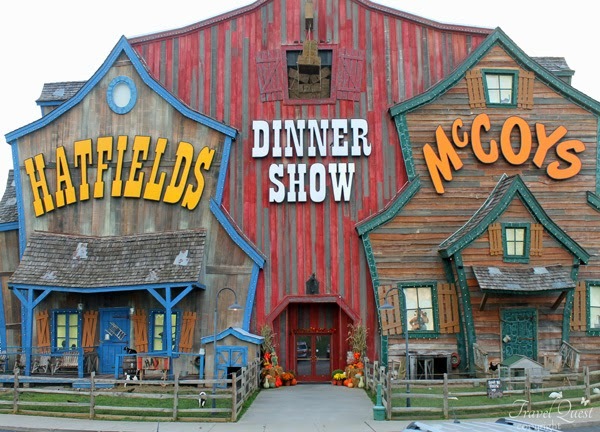 It’s all part of the panorama of good ol’ Southern fun at the Hatfield & McCoy Dinner Show in Pigeon Forge. The show is loosely based on an epic feud between two West Virginia and Kentucky-area families that spanned several decades in the 1800s. 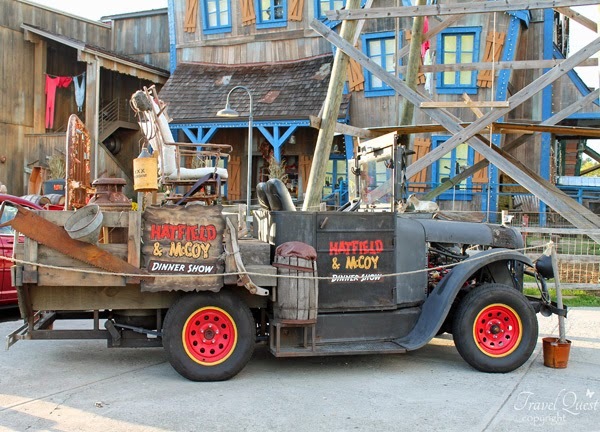 Feudin' Feastin' Family Fun - that’s the theme of the best show in town - The Hatfield & McCoy Dinner Show! 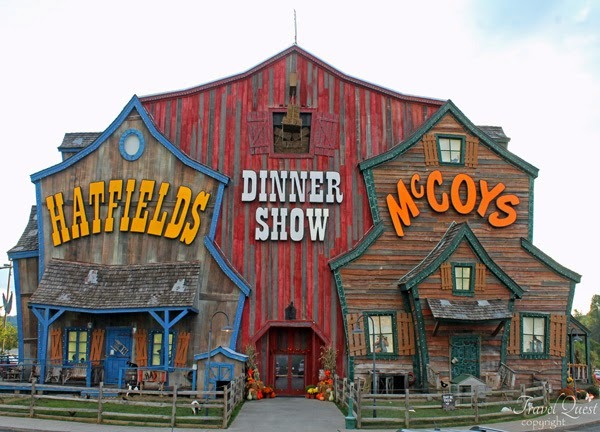 Become part of the longest running feud in history and help them Hatfields and McCoys try to settle their differences mountain-style. Whether you’re city-folk or country cuzins, you’ll love the singing and dancing, jaw dropping stunts and side-splitting comedy. There’s something here for everybody! And you’ll enjoy a delicious southern cooked meal. Show times are 5p.m. and 8 p.m. daily. 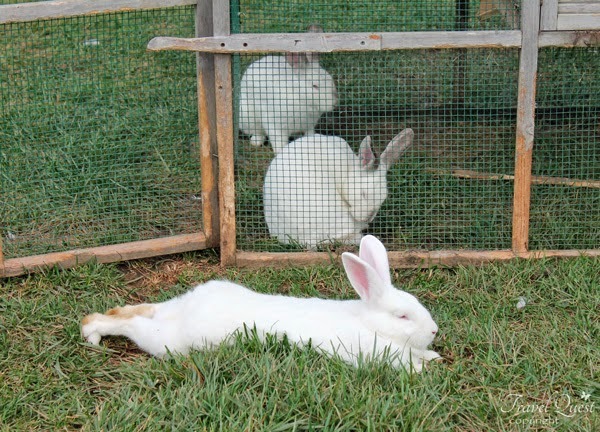 Adult tickets cost $49.95, and children’s $19.95 each. 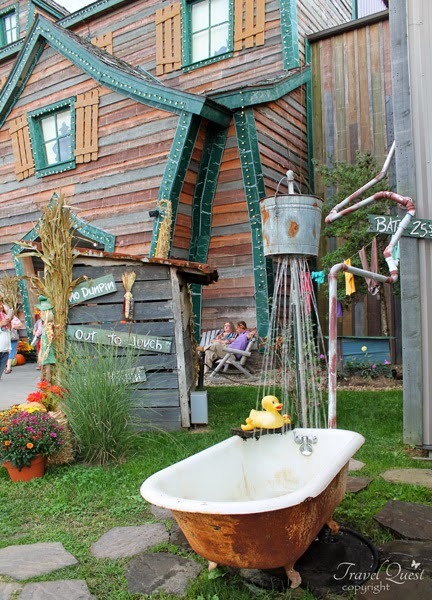 The ambiance of a fun, hillbilly experience starts before you ever enter. The laundry hanging and outdoor shower. the place look so laid back and so nice to visit to unwine. Oh my. 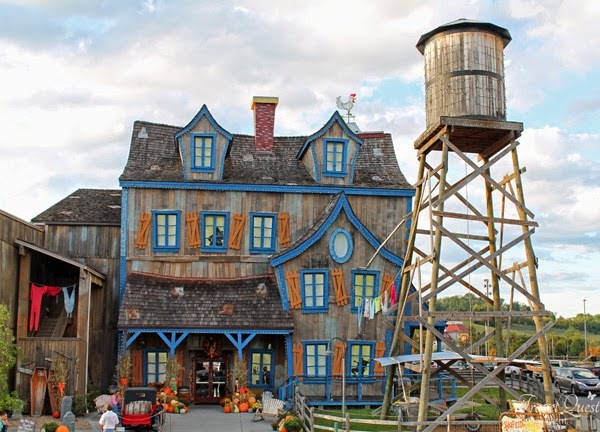 you're lucky to have visited such unique spectacle, loving those barns, btw! 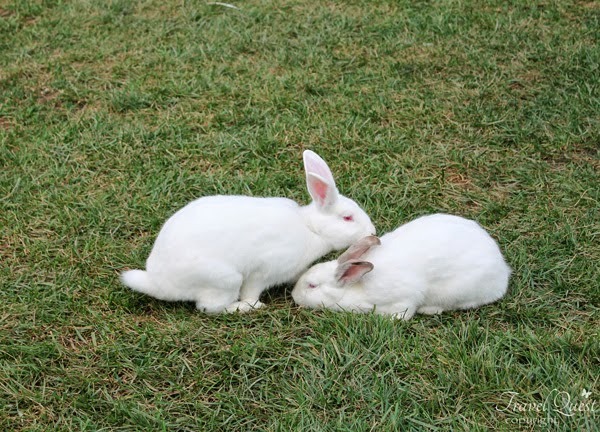 The eyes of those albino rabbits are creepy hehehe. What a unique design for business establishment. Awesome place, great fun and delicious food, nothing beats that! You're lucky to have been part of it.